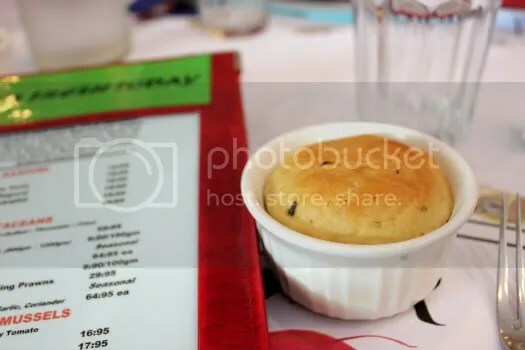 Complimentary herbed bread served in a ramekin- it was cold, sadly and to make it worse it was too dense for my liking. 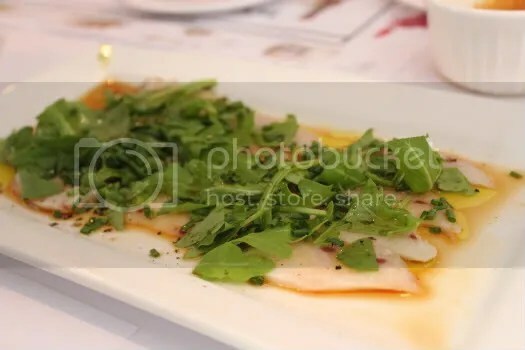 Swordfish Carpaccio with ginger and soy dressing- soy and ginger dressing was a hit with the parents because of all the familiar ingredients. Flavourful and a great appetizer to whet the appetite. 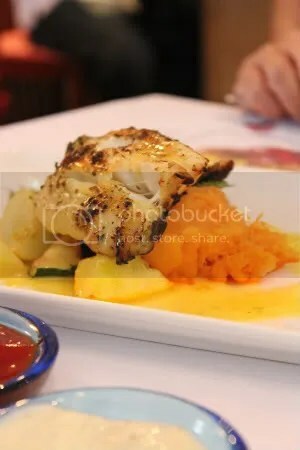 Swordfish was crunchy yet melt-in-the-mouth at the same time, a must-try! 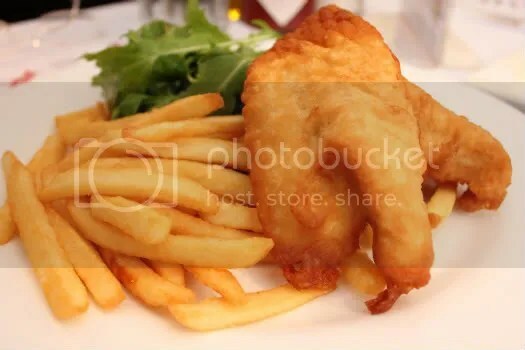 Mum’s fish and chips- she loved the thinly battered thick slabs of fish (btw, you can choose what fish you like, ask for recommendations from the staff! They have fresh catches for the day that vary throughout the week). We all enjoyed her chips that stayed crispy on the outside and fluffy on the inside all the way through lunch. Double-cooked perhaps? 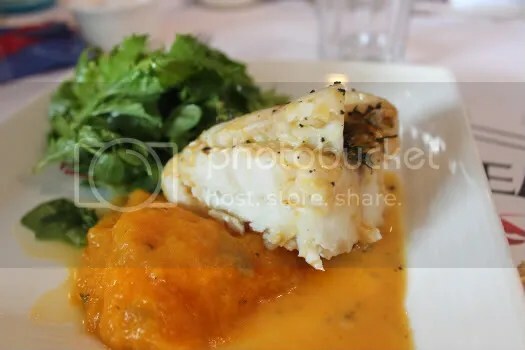 Baked Tusk Fish served with pumpkin mash and salad- I was nursing a flu that day but I could still taste how fresh the fish itself was. A very unique texture indeed, like a cross between a cod (in terms of flakiness) and garoupa (in terms of being less oily). My only complaint would be instead of removing the stem of the rosemary they chopped it up leaving indigestable bits of the stem in my food. NZ Bluenose was one of the trawler catches for the day. Meaty but not the flakey sort. The grill gave it a beautiful char that lent a smokey flavour to the fillet. Served with sweet potato mash and grilled veggies. Overall a very pleasant meal. Dad informed our lovely waiter about the cold bread and he came back with replacements once the kitchen baked a new batch. Recommendations were spot on and freshness is guaranteed for everything they serve. We were told that their fish is never frozen but flown directly from their sources (aside from tuna which is once frozen at some point in time before selling all around the world). Their fish market just a few doors away ensures the high turnover of their seafood supply. Look out for their daily offers and don’t forget to ask your waiter what are the fresh catches for the day!